Louisiana summer can get quite brutal as the temperatures heat-up across the state. In fact, we have some very humid months, and above average humidity throughout the year. And if you think you’ll get a break in the winter, think again. There is never a reprieve from the sweltering humidity. Without climate control, you might be risking damage to your belongings. Triple AAA Storage is here to explain why climate control is the best self-storage solution. Why Choose Climate-Controlled Storage Units? Climate-controlled storage units stay a constant temperature inside. These units come in handy in areas where the climate changes drastically throughout the year. Heat, humidity, and cold do a number on temperature-sensitive items, causing everything from warping to cracking and fading. Climate-controlled self-storage puts an end to climate-related damage. This damage happens when a sudden or an extreme change in temperature occurs. When you leave your belongings exposed to extreme temperatures, they may crack, buckle, or shatter depending on the material. Moving your items into a climate-controlled unit eliminates the problem and keeps everything safe and in pristine condition. 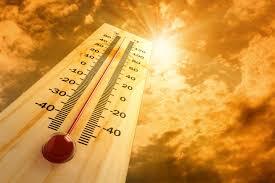 Protect your items from the extreme heat by using a climate-controlled storage unit at Triple AAA Storage. Protect your sensitive items from the weather and give you peace of mind through the summer. A climate controlled storage unit is an ideal solution if planning to storing valuables for an extended period of time. Anyone looking to store items that are expensive or hold sentimental or historical value should consider climate controlled storage option.